A brand new games developer conference will launch later this year that seeks to unite studios around the world -- all without them leaving the comfort of their own desks. Running from June 21 to 23, Gamedev.world will feature a series of talks and keynotes broadcast live from developers around the planet. It will be free to tune in or, if you're unable to catch each talk when it first airs, to peruse the archive of sessions that will be uploaded afterwards. Perhaps the most appealing aspect of this project is the fact that it will be truly accessible to developers, no matter where they're from. Each of the talks will be close-captioned and translated into Arabic, Chinese, English, French, Japanese, Portuguese, Russian and Spanish, covering almost every major (and emerging) games market in the world. It's the brainchild of Vlambeer co-founder and indie icon Rami Ismail, and event organiser and voice actress Sarah Elmaleh (Gone Home's Katie Greenbriar, among others). And it's been set up to address some of the inherent flaws in the many, many developer conferences that already fill the calendar. "There is no truly global games conference - one that brings together all the prominent speakers, attendees, and perspectives from the various territories on Earth," Ismail tells GamesIndustry.biz. "Gamedev.world aims to be the first global games conference, covering the games industry and the medium of video games as global concepts." He continues: "There are three structural issues to developer conferences: they have a price, a place, and a language. While some of those help power incredible value, they also limit the perspectives, knowledge, and attendance. Gamedev.world will be free - both as a live event and as archive, it will be available everywhere that has an internet connection, and all content will be translated into the eight of the most read languages in the world." There are 30+ speakers already confirmed, due to be announced soon, encompassing a mix of independent and AAA studios. And, as you would expect from such a global endeavour, they hail from different parts of the world, with Spanish, Japanese, Arabic and English developers lined up. With Gamedev.world now announced, a call of speakers -- in any language -- is now open. "There are three structural issues to developer conferences: they have a price, a place, and a language [which] limit the perspectives, knowledge, and attendance"
Each speaker will be streaming their talks live from a location of their choosing. 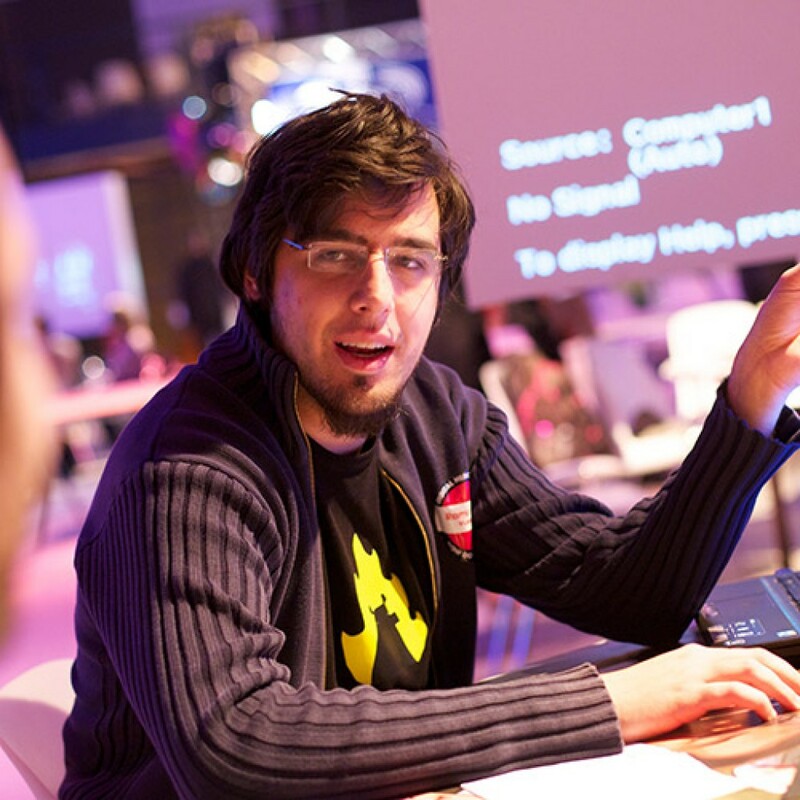 For regions where internet connections aren't quite so stable, Ismail and his team are working with Global Game Jam, universities, governments and other partners to arrange locations with stronger connections. Talks will cover design, code, art, sound, production and marketing, and will be aimed developers working on all sorts of games for all platforms. Some will touch briefly on business, but the organisers have opted against more in-depth talks as business discussions often amount to "localised advice and thus less useful in an international context." Ismail and Elmaleh aren't alone in this. They have been supported by an advisory board comprised of The Molasses Flood co-founder Gwen Frey, Nuked Cockroach game designer Houssem Ben Amor and Pro Indie Dev conference organiser Gabriel Dal Santo. "Between the five of us, we've been fortunate enough to build a global network of industry supporters and contacts, many of whom are helping in more or less involved ways," Ismail adds. "We're backed by a wide range of sponsors ranging from enormous multinational corporations to small independent teams that just wish for something like this to exist. "It would not be an exaggeration to say that the scope of the event feels overwhelming, that the costs and logistics are unimaginable, and that the event is only possible as a global and industry-wide effort. It also makes it incredibly exciting to feel the challenges fading as the event gained support and momentum, and we hope our announcement today will help us clear our final challenges." Translating into eight languages -- especially during livestreams -- is "by far the largest logistical challenge", Ismail admits. Fortunately, the team has been able to hire a game localisation company and a broadcaster to help ensure everything runs smoothly. The use of closed-captioning will also make the talks accessible for people who are deaf or hard of hearing, and free transcripts of all sessions will be available after the conference. "All speakers will be working with us to make sure we have a good idea of what they're going to be saying, ensure we capture and not translate jargon and trademarks, and to ensure a smooth and pleasant experience for speakers, translators, and our audience." "While it's easy to think of game development as global, the reality is that the industry is rather heavily segregated by language"
"We feel the Q&A is an important element of the conference, as enabling conversation across languages is a critical goal of Gamedev.world," says Ismail. "Allowing people to express curiosity for game development in entire parts of the world that they can not normally interact with enables conversation, perspective, and understanding across the invisible boundary of language." He continues: "Language often remains the last invisible border on Earth. While it's easy to think of game development as global, the reality is that the industry is rather heavily segregated by language. There are enormous amounts of knowledge and perspective in each of these languages that are opaque and inaccessible for people who do not speak them, and it seems like we have the technology, resources, and opportunity to break these barriers down. At Gamedev.world, we don't see a good reason to wait any longer." One element of conferences this event won't be able to recreate is networking and the ability to arrange one-on-one business meetings. Many developers find this to be the most valuable way to spend their time at GDC, for example, but Ismail says this is "harder to replicate in a digital environment." There will of course be ways to chat to each other, but Ismail notes that many of the games firms the organisers are working with around the world have suggested they could host physical locations where attendees could watch talks together and network with each other locally. "While we cannot organize those locations, we hope to support those types of community events in some way, too," Ismail adds. There's a lot of work to be done between now and June, but the mere prospect of Gamedev.world is an intriguing one. This could pave the way for a new form of conference, one devoid of the risk and expense of travelling halfway around the world -- although Ismail is firmly focused on making this first iteration a success before planning beyond it. "The amount of logistical, financial, and technical challenges left to us remains overwhelming -- and we're fully dependent on sponsorships for funding," he says. "For now, we want to deliver an example to the industry of how an event could be global. If the event is a success and we can find the resources to do another installment, we'll consider a 2020 edition. If not, hopefully we'll set the bar for accessibility high for online conferences in the future."